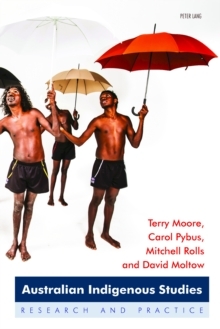 This book provides a guide to research and teaching in an Australian Indigenous Studies that is oriented toward the diverse, contemporary world. Central to this perspective is a sensibility to the intercultural complexity of that world - particularly its Indigenous component - and an awareness of the interactional capabilities that the Indigenous (and others) need to successfully negotiate it. These capabilities are important for facilitating Indigenous peoples' goal of equality as citizens and recognition as Indigenous, a goal which this book seeks to address. The Indigenous Studies presented in this book rejects as unproductive the orientation of orthodox Indigenous Studies, which promulgates the retention of old cultures, positive stereotypes, binary oppositions and false certainties. It adopts a more dialogical and process-oriented approach that highlights interactions and relationships and leads to the recognition of cultural and identity multiplicity, intersection and ambiguous difference. The book covers key topics such as ancestral cultures, colonisation and its impacts, identity politics, interculturality, intersectionality, structural marginalisation, unit development and teaching complexity. The focus of the book is the development of a sensibility that can shape readers' perceptions, decisions and actions in the future and guide teachers in their negotiation of intercultural classroom relationships.